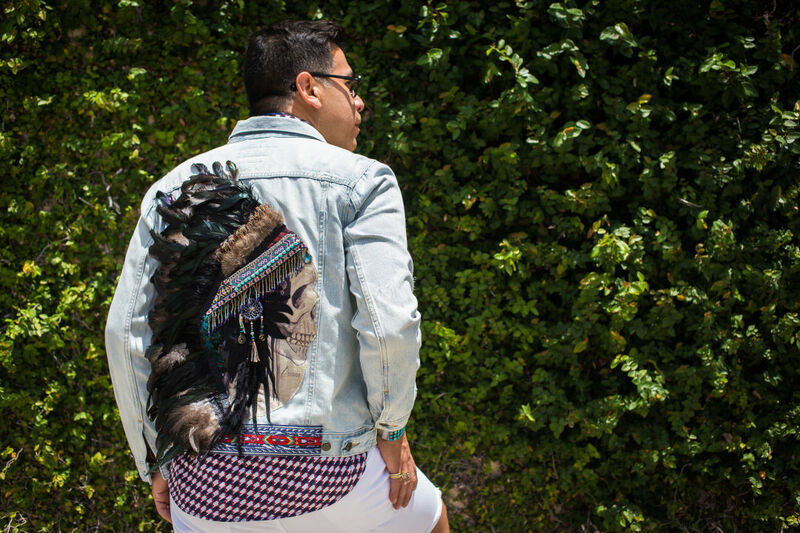 Jay Landa rocks custom denim from Two Tequila Sisters. Two of my very favorite things are coming to Rice Village jewelry store J. Landa this week: denim jackets and tequila. 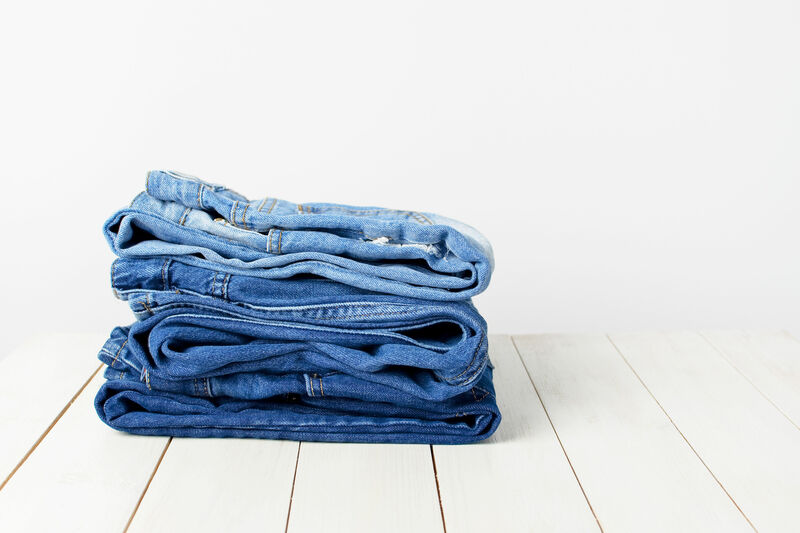 I consider myself a denim jacket evangelist and will emphatically argue the garment can improve nearly any outfit. For proof I embrace this philosophy, just find me on any given day: If I'm not wearing one of the no fewer than five denim jackets I own (most recent additions: a dark-wash, bell-sleeved crop from a bientot and a shredded, oversized gem of a find at Pavement), I'm almost certainly lugging one in my bag or draping it over my office chair. I wear my jackets to the point of disintegration, as is the case with one from an Urban Outfitters sale rack circa 2008 that I just can't bear to relinquish. 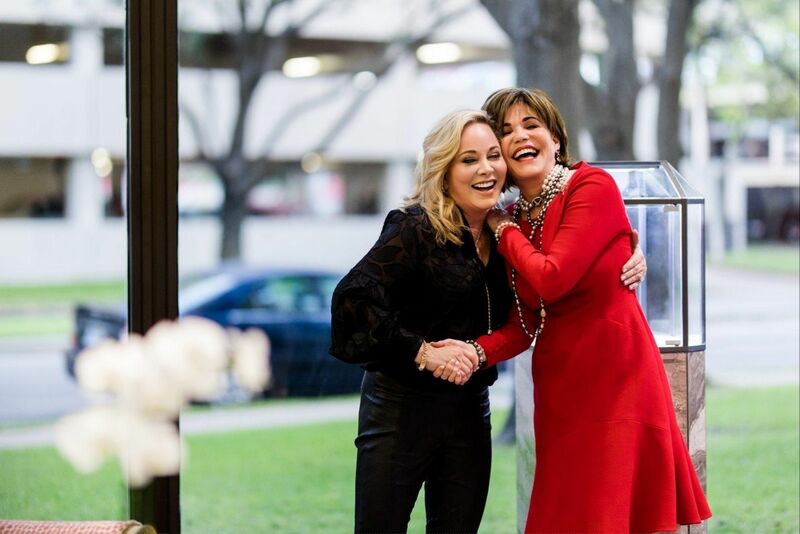 Imagine my delight, then, at the fact that Two Tequila Sisters are bringing their fabulous denim customization to J. Landa on Wednesday, July 25 and Thursday, July 26 for the store's ongoing summer designer pop-up series. 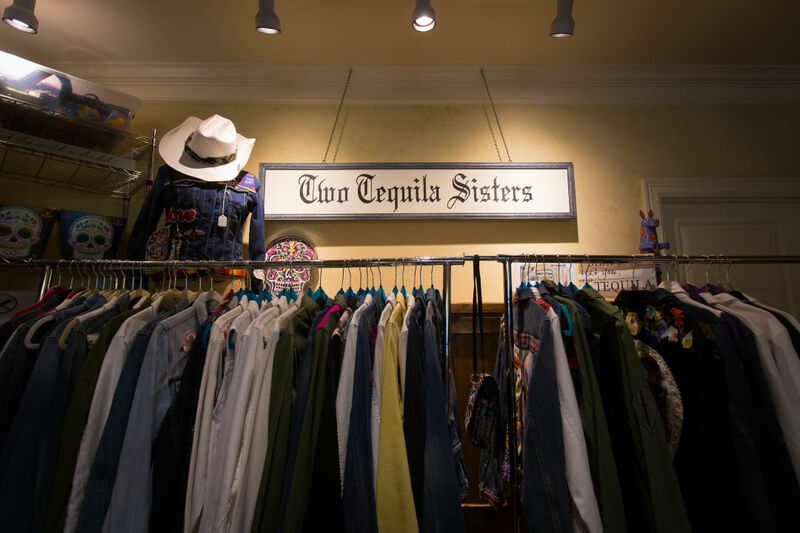 Two Tequila Sisters is a local operation co-founded by Eryn Elliot and Debbie Rank, who trick out denim garments with patches, feathers, coins, fabric swatches, trim, and more to transform run-of-the-mill jackets and vests into one-of-a-kind works of art. Rank and Elliot will bring some of their denim and various embellishments to J. Landa, where Landa himself will offer creative guidance and a hand-picked selection of patches in keeping with the store's favorite themes—think evil eyes, snakes, skulls, and dragons, but with a whole lot of flair. 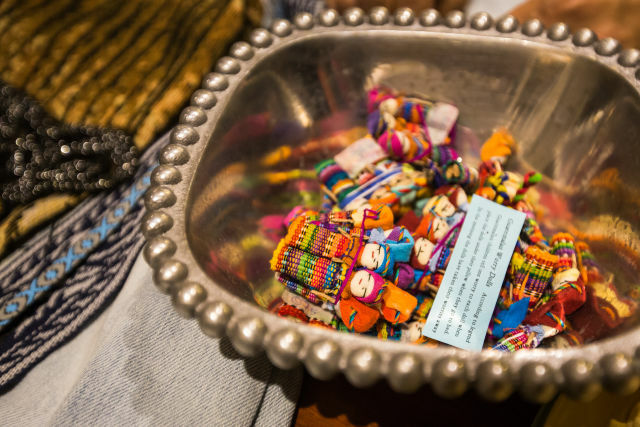 A Guatemalan Worry Doll completes each "Good Vibes Jacket." Each jacket is unique not only for the owner's vision but thanks to the fabrics and patches Two Tequila Sisters amass on their travels, including a large selection of swatches from Guatemala. 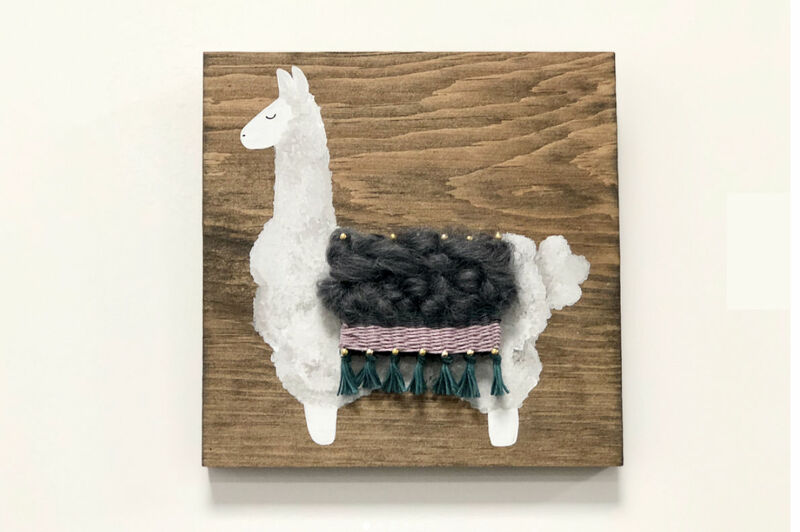 Branded as "No Worries Jackets," their customized creations include a Guatemalan Worry Doll in each right breast pocket. Legend has it that the tiny doll absorbs your fears; place it under your pillow before bed and, by morning, find yourself worry-free. If you, like me, have a jacket (or two) that could only benefit from a hefty dose of color, culture, and good vibes, bring it to the store next week and receive a slight discount for supplying your own. Otherwise, choose from Two Tequila Sisters' collection; a customized jacket averages around $350. Oh, and about that tequila: Landa is pouring from 5–7 p.m. on Wednesday. Cheers! Men’s Apparel, Women’s Apparel 1657 Westheimer Rd.